Since its commencement in 2013, the Entangled Media Histories (EMHIS) research and teaching network has worked to create an arena for international dialogue on the historical dimensions of transborder and transmedial flows through an employment of the concept entangled history. Our main academic aim has been to challenge the traditional blind spots in perspective and common methodological nationalism of media historical scholarship. With some important exceptions (see for example Hilmes 2012, Fickers & Johnson 2012, and Ribeiro & Seul 2016), media history has thus far often tended to be discussed within national contexts (which also includes most “comparative” studies) and from a mono-medial perspective, focussing exclusively on one medium at a time such as for example the press, radio or television. The fact that there are – and always have been – manifold cross-border and cross-medial interrelations has not always been properly highlighted. With this conference we would like to further explore the theoretical and methodological implications and consequences of such a plea for integrated media history together with other researchers working in the field. We invite scholars from different disciplines across the humanities and interpretive social sciences, who have already dealt with similar issues or wish to explore them further. We also encourage open discussions on sources and methodologies in media historical research, including aspects on media archives and the challenges and opportunities surrounding digitized media material. The conference language is English and the number of participants is limited to 65. For individual paper proposals (20 mins including discussion), please submit an abstract (300 words) plus short bio by Dec 14, 2016. Notification of acceptance of abstract will be given in the beginning of January 2017. Extended abstracts (600–800 words) are required and will be published in a pre-circulated PDF book. Deadline for extended abstracts is Apr 1, 2017. 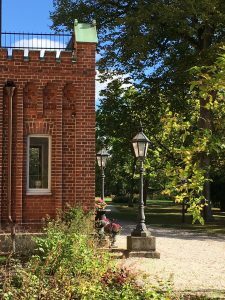 The conference is organised by the Media History Unit at Lund University, Sweden, the Research Centre for Media History at the Hans Bredow Institute/Hamburg University, Germany, and the Centre for Media History at Bournemouth University, UK. 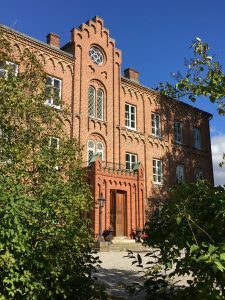 It is hosted by the Department of Communication and Media, Lund University, with financial support from The Swedish Foundation for International Cooperation in Research and Higher Education (STINT).